Everyone loves an incentive program. So let us... show you the money!! Make a decision to try our way of doing business. Then set a target goal for how much business we'll do together over the next year. 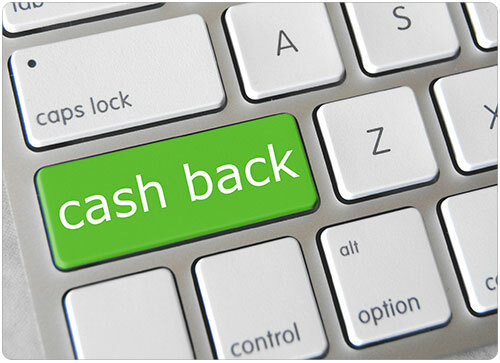 If we hit your goal, we'll give you a 2% cash back rebate on everything you purchased for the entire year. You could fund your company picnic or year-end holiday party. You could pay some well-deserved employee bonuses, or add to your company retirement plan. Use the money for a new marketing promotion, or new carpeting and counter tops in the employee break room. Anything you want, because this isn't a credit on future purchases or a bogus discount program. This is a cash rebate, paid by our company to your company, just for working with us and hitting your goal. We only offer Volume Rebates to our client companies, nothing is ever paid to individual employees. We still match any competitor's written prices throughout the entire year, and we don't jack up your prices to pay for the rebate. It's completely legit... We guarantee it. and let us show you the future of printing and promotional products! !